You are currently browsing the archives for the Cronyism category. I recall the Obama administration making the same promises after the VA scandal broke. The promises sounded appropriate. The actions didn’t match the promises. At this point, I’ll just say that there’s lots of pressure on Pollock because it’s his responsibility to clean this mess up. The move comes weeks after a Minneapolis Star Tribune series exposed widespread elder abuse in Minnesota nursing care facilities that for years was systematically ignored. All too frequently, complaints were thrown away without people conducting even a preliminary investigation. Frankly, I’m skeptical that anything meaningful will happen this year. It isn’t that I’m skeptical of Pollock. It’s that I’m skeptical that they can pull together the investigators and other resources in time to make a difference. How do you change a culture like this? This isn’t just about investigating. It’s about firing people who are put in charge of caring for people that can’t care for themselves who aren’t interested in caring for the people they’re charged with caring for. Frankly, in this instance, it’s about charging them with crimes, too. Simply put, this is what’s wrong with facilities that aren’t interested in providing professional care to its patients. Further, I don’t trust Gov. Dayton’s appointees at this point anymore. Too frequently, they’re political allies rather than qualified people. 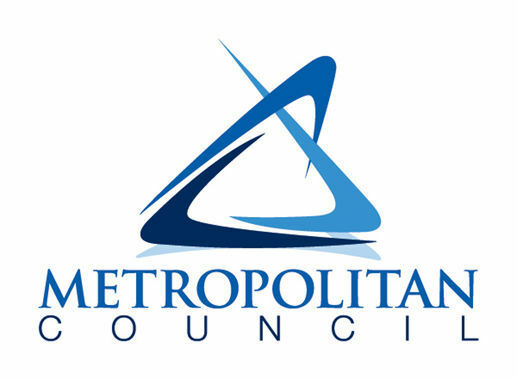 This article by Katherine Kersten is another outstanding article from her on the subject of how the Met Council intends to govern cities. That’s a fancy way of talking about top-down, unelected government dictating the terms of how urban life will work under their vision. The DFL, BTW, is all in on this anti-democratic form of governing. Apparently, the DFL supports any type of government that silences dissent and We The People. People shouldn’t trust appointed politicians. That’s why Minnesota needs to dramatically overhaul the Met Council. 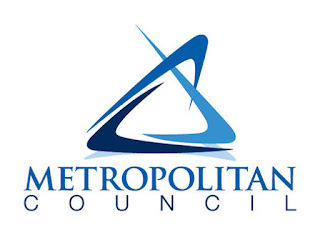 Unaccountable people who weren’t elected (they’re appointed) with the ability to raise taxes, which the Met Council has the authority to do, are anti-democratic. They shouldn’t be respected or tolerated. Finally, in a just world, they shouldn’t exist. It’s a great (and frightening) picture of the Met Council’s mission creep and its misguided ‘mission’. 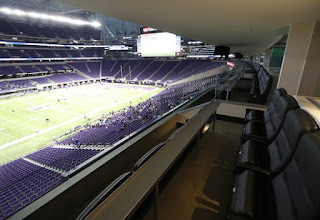 When the Strib first reported that the Metropolitan Sports Facilities Authority, aka MSFA, had used 2 suites at the Vikings new stadium to entertain family members and DFL political allies, Minnesotans were rightfully outraged. According to this article, that outrage hasn’t diminished much, if at all. The chairwoman of the government authority that manages U.S. Bank Stadium defended the use of two luxury suites for officials’ friends and family before a panel of state lawmakers Wednesday, saying it’s been common practice for years. Democrats will always do the right thing … when it’s the only option left. Yesterday, I wrote this post to highlight the absurdity of E.J. Dionne’s column. He’s totally certain that a Trump administration will be a disaster with a silver lining for Democrats. Last night, on the Kelly File, Nomiki Konst ‘debated’ Marc Thiessen and Guy Benson about whether Democrats were learning the lesson of this election. Konst insisted that it was all drive about the economy. While there’s no doubt lots of people voted for Donald Trump because they think a billionaire might know a thing or 2 about reviving this pathetic recovery, it’s more than that. Mr. Trump promises to clean up the VA scandal, build a wall on the US-Mexican border, simplify the federal tax system and rein in the out-of-control EPA. In other words, he promised to make their lives better. Voters didn’t just reject Mrs. Clinton’s message. In battleground state after battleground state, they essentially said ‘are you out of your flipping mind? We’ve suffered through 8 years of this crap and we’re tired of it.’ But I digress. Benson and Thiessen both talked about how the Democratic Party is incapable of talking to people of faith or blue collar workers. It’s clear that they haven’t learned their lesson because the people who are the 2 ‘finalists’ for DNC chair, Keith Ellison and Thomas Perez, are incapable of connecting with those voters. Paul Krugman thinks the Trump economic policies will tank. Thomas Friedman thinks that the Obama administration is the best friend Israel has ever had. Other inside-the-Beltway columnists missed the fact that miners and farmers are fed up with the EPA’s regulatory overreach. It isn’t surprising why some of the biggest punchlines in Mr. Trump’s stump speeches were criticisms of the corrupt media. That was a galvanizing message. It’s what tied the blue collar workers together with the millionaires who built their companies from the ground up. This weekend, I spoke with Ed Morrissey. Admittedly, neither of us predicted Trump winning. We both, however, gave Trump a shot at winning going into Election Night. When I told Ed that the common denominator for both of us is that we both listened to Salena Zito, he quickly agreed. We didn’t know that he’d win Michigan, Pennsylvania and Wisconsin but we knew that Trump’s message resonated with those economically disenfranchised voters. If newsrooms don’t start sending their reporters out into the real world, if they don’t put a high priority on building a newsroom with cultural diversity, they’ll continue missing the big stories. Finally, it’s time to thank Salena for her fantastic reporting. If she doesn’t win a slew of awards for her political reporting, it’ll prove that political editors are clueless. 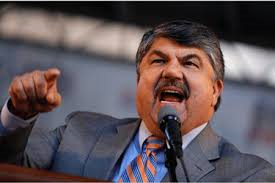 Richard Trumka’s misguided hissy fit should be seen for what it is: the actions of a desperate man who’s losing control of the people who pay his exorbitant salary. When Trumka wrote “publicity stunts and Twitter rants are no substitute for a comprehensive, coherent economic strategy that invests in America and lifts up the voices and the power of working people”, what he’s really saying is that he’s hoping union workers wouldn’t listen to Republicans. He’s also saying he wants union workers to support the party of elitists, aka the Democratic Party, because he’s thankful for being part of the Party’s ‘royalty’. Mr. Trumka hasn’t been in touch with the unions’ rank-and-file for decades. He’s blindly supported the Democratic Party’s anti-worker agenda, then tried telling workers that the table scraps that Democrats shovel them is like eating like a king. Mr. Trumka is wrong when he said the “share of income going to the middle class has fallen in almost perfect correlation with the declining percentage of people working in jobs where they enjoy a union.” The share of income going to the middle class started falling when union fat-cats (like Trumka) paid more attention to lining their own pockets than they paid to fighting environmental activists who crushed their blue collar jobs. Mr. Trumka was nowhere to be found when President Obama, Mrs. Clinton and Secretary Kerry killed the Keystone XL Pipeline project. That’s because he’d been bought off in the name of Democratic Party unity. The next time that Mr. Trumka speaks before the rank-and-file, the dues-paying members should pepper him with questions for why he isn’t representing them. Let’s remember that Mr. Trumka sold out workers by supporting Obamacare, which essentially killed the unions’ Cadillac care health plans. That hurt blue collar workers immensely. It’s time for private sector unions to ask if people like Mr. Trumka has their best interests at heart. Kim Strassel’s latest column highlights an exciting possibility for the American people. What’s exciting is a nerdy subject but a subject that might teach the average person the virtues of the system that our Founding Fathers gave us. We’ve lived so many years under the Obama reign that many Americans forget we are a federal republic, composed of 50 states. There isn’t a major statute on the books that doesn’t recognize this reality and acknowledge that the states are partners with—and often superior to—the federal government. That is absolutely the case with major environmental statues, from the Clean Air Act to the Clean Water Act to the Safe Drinking Water Act. If I earned $100 each time that the EPA has overstepped its statutory authority or constitutional boundaries, I’d be Warren Buffett-style rich. Scott Pruitt’s mission is to put the EPA back into its proper box. That’s only possible if Gen. Pruitt applies the principles of federalism to the EPA. That’s the last thing the environmental activists want. They want the EPA’s decisions moved as far away from the people and local control as possible. That’s why they support globalism. It’s the ultimate in unaccountability. After his first two years in office, [President Obama] never could convince the Congress to pass another signature initiative. His response—and the enduring theme of his presidency—was therefore to ignore Congress and statutes, go around the partnership framework, and give his agencies authority to dictate policy from Washington. The states were demoted from partners to indentured servants. So too were any rival federal agencies that got in the EPA’s way. Example: The EPA’s pre-emptive veto of Alaska’s proposed Pebble Mine, in which it usurped Army Corps of Engineers authority. There’s much to unravel after 8 years of this administration running roughshod against the Constitution and the rule of law. Gen. Pruitt won’t fix it in a week or month or even in a year. Still, he’s the man uniquely qualified to dismantle the Obama administration’s regulatory leviathan. I’d modify that definition because it omits too many things that are ‘diseased’. 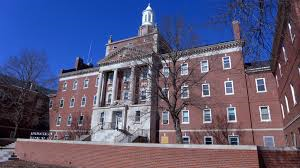 What person with a heart thinks that the Veterans Administration isn’t diseased and infected? I triple-dog dare anyone to read this article, then tell me the VA doesn’t need a major overhaul. This article should turn people’s stomachs. Two EPA employees, Dr. Marsha Coleman-Adebayo and Susan Morris, will be taking EPA back to court to expose its treatment of whistleblowers and the impact on public health and civil rights. Senior former and current officials within EPA will be deposed, such as Ray Spears, former Deputy Chief of Staff to three EPA administrators; Rafael DeLeon, former Director of Civil Rights and Human Resources as well as legal advisor to EPA administrators; and Karen Higginbotham, former Civil Rights Director now a special assistant in the Office of the Administrator. The depositions will cover decades of allegations of corruption at the highest levels of the EPA. Corruption that has, no doubt, placed the public and EPA employees in jeopardy. 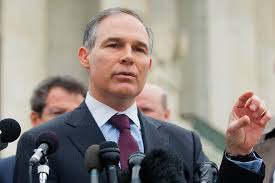 The cases, scheduled for trial in the spring will demonstrate how EPA senior officials in key positions used their authority to retaliate against employees who raised prohibited personnel practices and warned of dangers to public health. Dr. Marsha Coleman-Adebayo won a significant jury award in her case against EPA a decade ago that resulted in the passage of the 2002 No FEAR Act by Congress. She returned to the agency after her successful case only to face more retaliation and eventual termination of her career. Progressives have pushed the notion that only big business is corrupt. That’s BS. The truth is that the government is every bit as corrupt. Here’s hoping that Trump cleans out the corruption in DC. It’s a tall task but it’s something that needs to be finished. It isn’t a secret that Democrats aren’t fans of government reform. They’ve been the defenders of the status quo for years. Hillary Clinton was their presidential nominee. Chuck Schumer and Nancy Pelosi are the faces of Senate and House Democrats. This trio of fossils aren’t mistaken for having fresh ideas. If they don’t want to be politically irrelevant, they need new management and fresh, appealing ideas. In Minnesota, the DFL is slightly ahead of the game compared with the DNC. Still, they’re too reliant on cronyism. That’s what this article highlights. Kelm-Helgen and Mondale said they and the four MSFA commissioners use the suites to host potential clients who are looking to rent all or portions of the stadium, which opened in August. But they also acknowledge they regularly invite friends and family to the suites. The two say they can’t reveal the identities of their guests because that would hinder their marketing efforts. However, they did release the identities of 12 current and former public officials who reimbursed the authority $200 for their tickets to the suite. I’d say that some DFL (sense of) entitlement reform is required. Getting signatures requires a good contact list. The SEIU receives updated PCA contact information every two weeks. But when MNPCA requested an updated list, the state stalled for five months and refused to give them accurate information, instead giving MNPCA two bad lists. Also, the SEIU and state began negotiating a new contract almost year before the current one expires. If that process is completed before MNPCA gets a new election, the decertification effort will be defeated. With the window to call for a new vote rapidly closing; the last date to file for a new election is Dec. 2; MNPCA took the state to court. A Ramsey County judge ruled that PCAs must be given the data they requested. Yet even with a judge’s order, the state failed to give MNPCA a complete and accurate list. MNPCA asked the judge to help but for now has to assume the deadline will not change. It’s impossible to believe that the Dayton administration can’t get an accurate list of PCAs to MNPCA in a timely fashion when they’re updating SEIU Healthcare MN with a list every 2 weeks. Remember this the next time you hear Tina Smith or some other DFL political hack talk about being for the little guy. That’s BS. They’re for whoever will contribute large sums of money to their political campaigns. It has nothing to do with fighting for the little guy. In this instance, Gov. Dayton and the DFL aren’t fighting for the little guy. Instead, they’re fighting the little guy. What’s worst is that the DFL is fighting the little guy on behalf of a big money special interest group. The thieves wearing SEIU union uniforms, along with their DFL political allies, have stolen money from families. This article highlights how the theft happened. First, let’s hear SEIU explain how family members taking care of loved ones with disabilities are government employees. Next, let’s hear SEIU explain why they deserve a penny of these families’ Medicaid benefits. Third, let’s hear Gov. 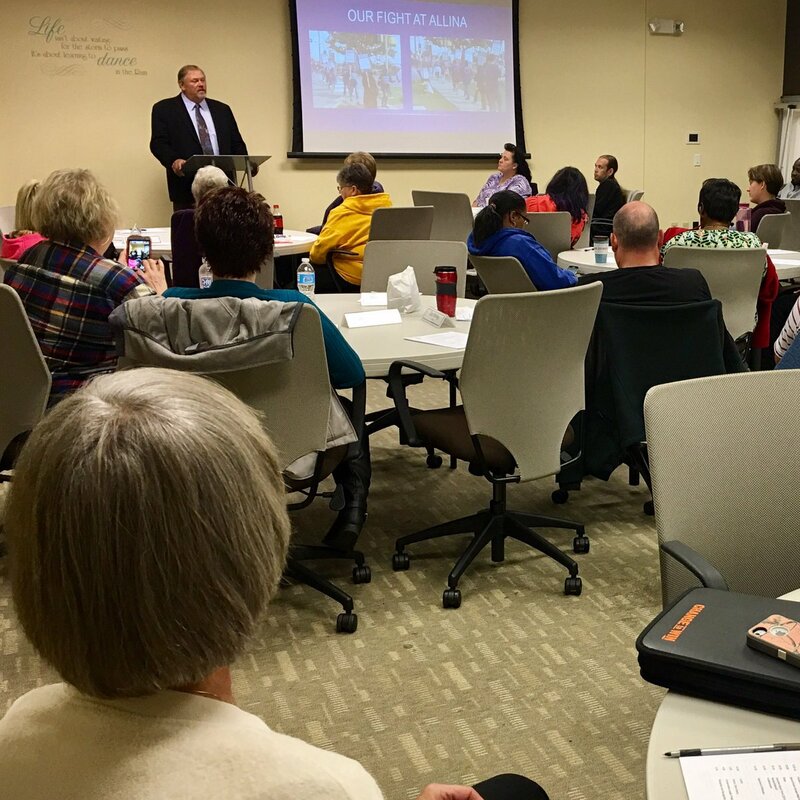 Dayton and the DFL legislature of 2013 explain why they sided with the SEIU rather than with families caring for loved ones with disabilities. PCAs are people who have chosen to be the primary caregiver of a disabled person; in the vast majority of cases, a family member (usually a spouse or child). Some of the disabilities are so severe that the caregiver is unable to work outside the home. And so Minnesota established a PCA program which allows them to receive some Medicaid support. In the old days, many of the disabled would have been institutionalized in a government-run facility, a system that was costly and scary. The current PCA Medicaid program allows these people to stay at home and be cared for by someone who loves them. The heartless SEIU thinks it deserves a portion of these families’ Medicaid support. Gov. Dayton and the DFL legislators from 2013 agree with the SEIU. What isn’t known is why Gov. Dayton and the DFL agree with the SEIU from a policy standpoint. It isn’t difficult to figure out why Gov. Dayton and the DFL agree with the heartless bastards in the SEIU from a political standpoint. When it comes to standing up to heartless special interests, Gov. Dayton and the DFL aren’t profiles in courage. Key victories in the contract include workers receiving a paid time off benefit for the first time (five days of paid time off for full-time workers), raising the pay floor from $9 to $11 by 2016, a grievance and arbitration procedure to address wage theft, and a training fund to improve the quality of care they provide to people with disabilities and seniors. How many parents can take time off when caring for a child with a severe disability? The ‘benefit’ is mostly a mirage.